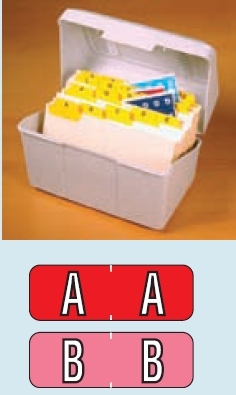 Labels for Filing Folders. 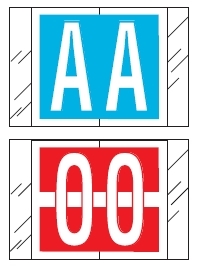 Communicaton, Alert, Alpha and Numeric labels. 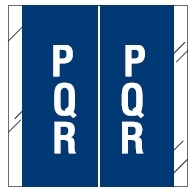 #4960K Allied Last Name Desk Top Label Kit 1/2"
Standard alpha label kit for use with standard alphabetic systems. 3,300 vertical and horizontal standard alpha labels. Includes extra letters for the most popular letters of last names and “Mc” (no extra vowels). Another Allied innovation for use with AAK systems. 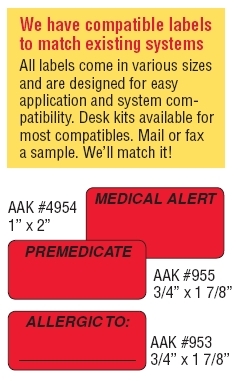 #ABAM 1/2” Vertical Desk Top Kit Alpha Labels. Vertical standard. AAK Conversion Labels Tabs are colored to matchcolors of AAK folders thus enabling you to create the AAK ten color groups with your existing folders. 1” numeric label for end tab folders. (0-9 available). Self-adhesive clear mylar protectors prevent wear and eliminate unreadable information caused by heavy file use.